Winter in the Pacific Northwest are dark and soggy. I don’t know about you, but my kids don’t like going outside in the cold and rain. So how do you get kids out the door when all they really want to do is run around the kitchen screaming? Enter geocaching! Geocaching gives you a great reason to go exploring outdoors. 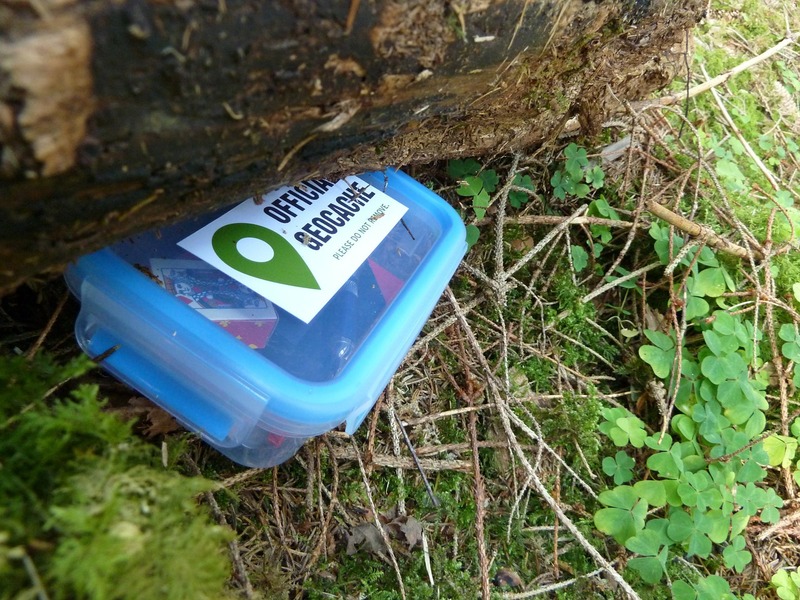 Geocaching is a real-time treasure hunt, everywhere in the world. (That’s not an exaggeration. There are several in Antarctica.) It started back in May of 2000 when the U.S. government decided to share the GPS system with the public. According to geocaching.com (which is based in Seattle, by the way), Dave Ulmer of Beaver Creek, Oregon, wanted to test just the accuracy of the GPS system. He buried a bucket of stuff out in a field and posted the GPS coordinates. Within three days two people found the bucket and the sport of geocaching was born. A geocache is basically hidden treasure (for those people that consider "old toys and marbles’" treasure). Most caches have a tiny notebook to sign when you find it but the cache can be any size. Some are so small they don’t even have a log book. Some are large enough to hold a garage full of Hot Wheels, all six of the pony friends and Princess Celestia. Out in Port Gamble, there’s a cache full to the brim with Legos. It’s hidden underneath a tree. Imagine the look on your kids' faces when you pull a box full of Legos out from the roots of a tree. I can tell you from personal experience it was the closest I’ve ever come to convincing mine that I’m a wizard. 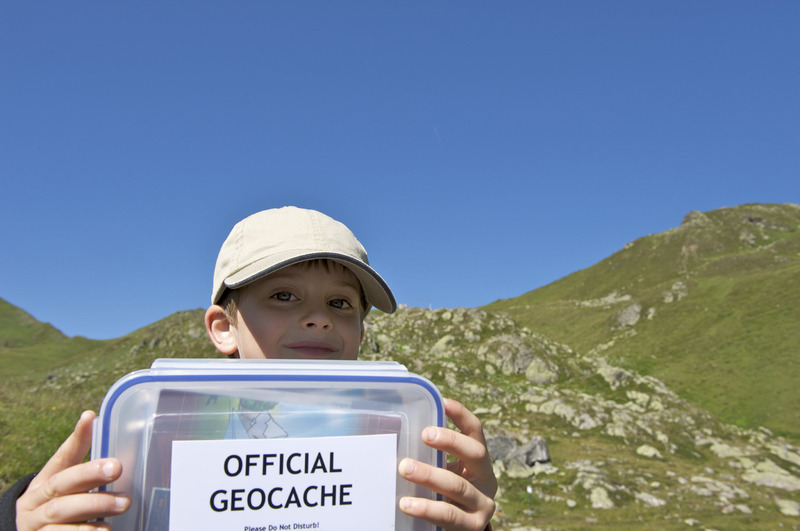 Find a site: The first step is to find a website dedicated to geocaching. OpenCaching.com and Geocaching.com are very popular. Both sites let you sign up for a free account. Geocaching.com also offers a premium membership for an annual fee. This gives you access to roughly three times more caches than the free account option. Geocaching.com works closely with the maufacturers of Garmin, a handheld GPS unit. 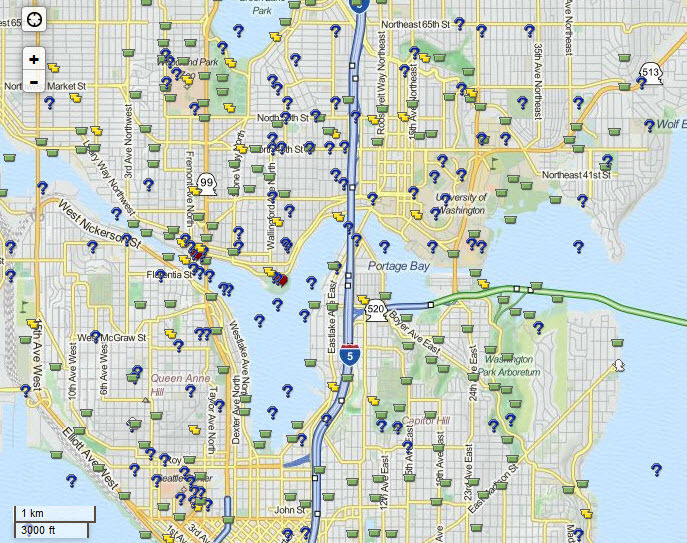 It works like one huge treasure map, listing more than 2.5 million geocaches around the world. You can search the maps using a street address, geolocation codes or even by country. The search results will give you a map that lists caches near you (treasure map! ), each sporting a funny name. Each cache links to an information page with a description, the location coordinates and a hint (if you need it) for finding the cache. Each cache is rated by terrain and difficulty. Activate your GPS unit: The next step is to plug the location coordinates into your GPS unit and have it lead the way. What's your GPS unit, you ask? The most convenient one is your smartphone. Just download the geocaching.com app and turn your phone into a GPS guidance system and map all in one. (For example, plug in N47° 44.800 W122° 18.400, and you’ll end up in the middle of Hamlin Park in Shoreline fending off cute little bunnies.) You can also use a Garmin or other GPS unit. Go find it! With GPS, you'll usually get fairly close to a cache site but finding the cache is an entirely different matter. Check the description carefully for clues of how to find it. Caches are hidden but not buried. 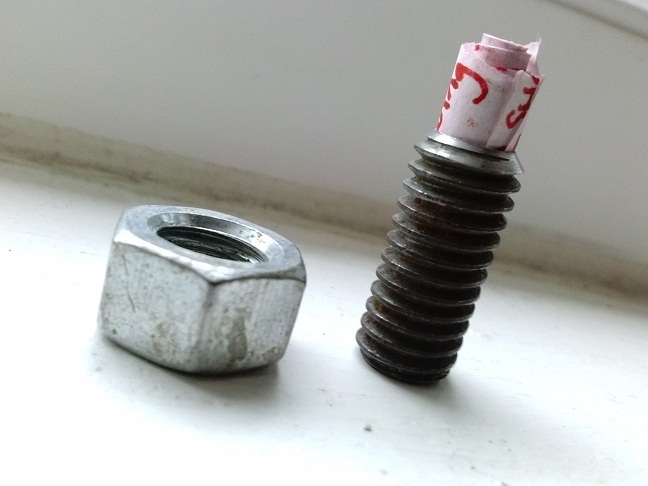 City caches tend to be small and camouflaged (see the photo to the right of a hollowed-out bolt that served as a cache and was magnetized to the back of a street sign). Forest caches tend to be larger and hold more trinkets. Some caches make you solve riddles. Some make you follow a series of clues before you can get to the main cache. See these tips for finding caches. Take and leave trinkets: Larger caches will usually contain trinkets. You can leave the trinkets as is, or trade them for goodies from your own stash. (Pro tip: All those tiny toys that you can’t stand picking up any longer? Those make perfect cache trinkets.) You can note the trinket status in the logbook: "T1/L1" means "Took One/Left One" and "TN/LN" means "Took Nothing/Left Nothing." (See this list of geocaching terms for more lingo.) Once you’ve signed and traded, be sure to put the cache back exactly how you found it. Where do you start? Once you familiarize yourself with how the game works try finding caches close to home. Look up your favorite playground or dog park, a place where you already know the terrain so you can find your first cache quickly. Once you've explored familiar territory, you can go out and really explore. Most of the parks in the area will have at least one or two caches. You can also use geocaching as an excuse to go on a longer hike with your kids, or explore a park that's on your wish list. Here are some ideas for cache-rich parks worth exploring. St. Edward State Park, Kenmore. This lovely forested state park on Lake Washington has loads of trails, a wonderful, shaded playground for kids, and — on a hot day — lake swimming. And 13 caches (at last count). Green Lake Park, Seattle. Seattle's classic loop park is about 2.8 miles around; with several caches around the lake, some of which involve clues. 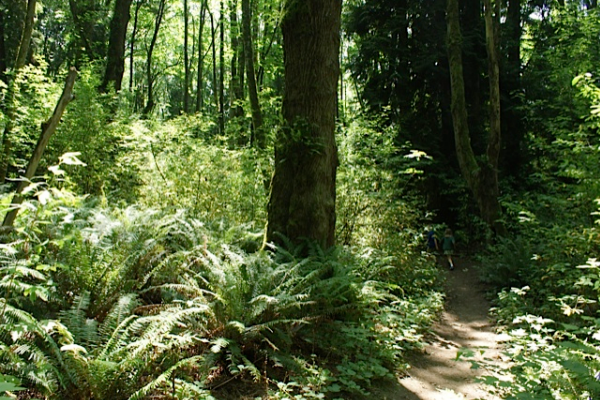 Seward Park, Seattle: At least three caches are hidden around this stellar park with old-growth forest, a natural playground and an fantastic Environmental and Audubon Center. Point Defiance Park, Tacoma: Check out the zoo, then do some treasure hunting around one of Tacoma's premier beach parks. Fort Worden State Park, Port Townsend: Use a cache hunt at this former military base as a launch for a Port Townsend adventure, with ice cream, beaches and shops to poke around in. City cache hunts are a lot of fun. The Edmonds waterfront has much of the same as Port Townsend plus an off-leash dog park. Need something even more citified? 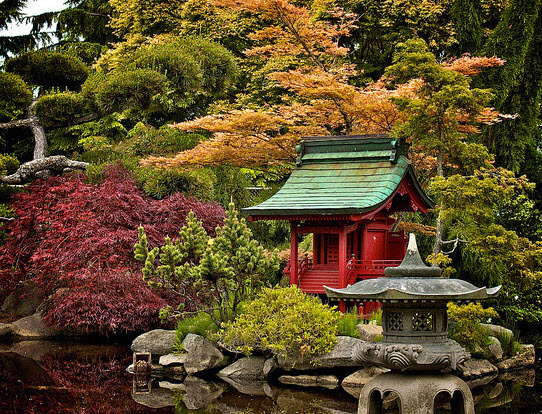 Seattle Center, Granville Island, Vancouver and downtown Portland are all family-friendly city spots with enough caches to keep you treasure hunting for hours.